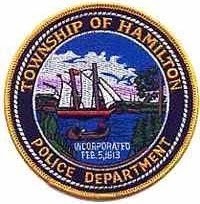 On August 10, 2014 at approximately 3:20 PM, the Township of Hamilton Police Department responded to Route 40 in the area of Pittsburg Avenue for a serious motor vehicle crash involving two vehicles. Preliminary investigation determined that a 2010 Scion XD driven by Liliana Jamieson-Finanger, 79 of Buena, was traveling East on Rt. 40. A Hyundai Accent driven by Barbara Wayda, 67 of Egg Harbor Twp., made a u-turn in front of Finanger’s vehicle causing the two vehicles to collide. Finanger’s vehicle subsequently overturned. Finanger had to be extricated and was taken to AtlantiCare-City Division for treatment of non-life threatening injuries. Wayda was taken to AtlantiCare-Mainland Division for treatment of non-life threatening injuries. Assisting at the scene was the Township of Hamilton Rescue Squad, Mays Landing Fire Company, Mizpah Fire Company, and AtlantiCare paramedics. Traffic was delayed for approximately one hour.